The Minister of Culture, His Royal Highness Prince Badr bin Abdullah bin Farhan Al Saud, inaugurated the exhibition "Wahj: Adornment of the Page" at the Alfaisal Museum for Arab Islamic Art in Riyadh on the evening of Wednesday, February 6th, 2019. 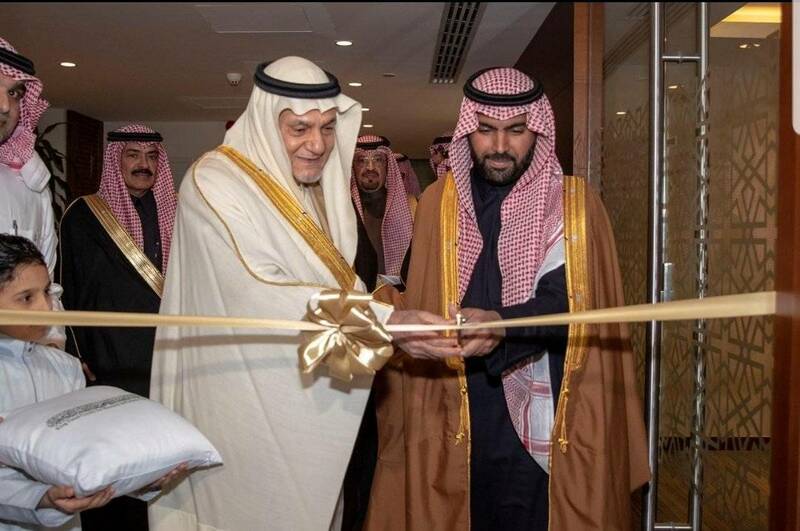 This was in the presence of HRH Prince Turki Alfaisal, Chairman of the KFCRIS, as well as a number of officials, diplomats, cultural figures, and members of the media. HRH Prince Turki Alfaisal thanked the Minister of Culture for his generous patronage of the exhibition and praised the role of the Ministry in supporting cultural projects in the Kingdom. The exhibition, which deals with the art of decorating manuscripts, comes within the framework of the efforts of the King Faisal Center for Research and Islamic Studies to spread culture and highlight such arts. He pointed out that the Center possesses one of the largest international collections of original and rare Arabic and Islamic manuscripts.